They’re dropping like flies. The question is not if another major city will fall to a fascist smoking ban, but which will fall first. For what it’s worth, my money is on Baltimore. If you have a great memory, you may recall a July 19 post on cigar etiquette in which I briefly recounted a drunken evening smoking stogies at various Baltimore bars. Well, according to the Baltimore Examiner, I may have to get back up to the Charm City very soon if I ever want to do that again. While the highly anticipated vote on the citywide smoking ban was delayed at Monday night’s council meeting, both sides continue to maneuver to tally votes and win support. And though advocates and opponents argue they have the upper hand, many believe the fate of the smoking bill could come down to the support of a yet-to-be-selected council member. “If Stephanie Rawlings Blake becomes City Council president, as it appears, then the person who replaces her on the Council could be the deciding vote,” City Council Member Robert Curran said. Now I know I just asked Stogie Guys Nation to make some phone calls to Ohio’s Department of Health to give those bureaucrats hell for their upcoming statewide smoking ban, but I can’t resist asking you to pick up the phone again – especially if you reside in Baltimore. Since this ban is currently teetering on the fence, a flood of phone calls to the Baltimore City Council may actually tip policy in our favor. He’s probably right. Would-be customers like me will be less willing to make the trip up to Baltimore from Washington (and other locales) if the city government votes to outlaw free choice. Tisk, tisk. Let's all play nice. 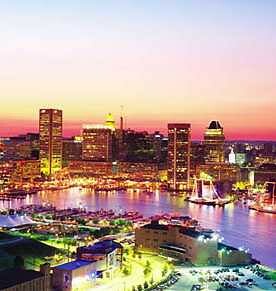 Just like any major city, Baltimore has at least a few nice neighborhoods. I've enjoyed getting drunk in Federal Hill from time to time.